Dreams of flight have captured our imagination for centuries. And it seems the bigger and the faster the aircraft, the more interesting it is. 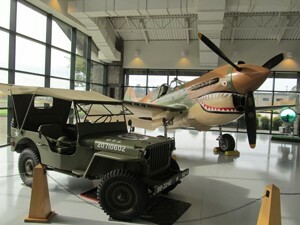 To get up close and personal with a wide variety of unique aircraft and spacecraft, visit the Evergreen Aviation & Space Museum in McMinnville, Oregon. Founded in the memory of Captain Michael King Smith, the museum celebrates the lives of innovators, pilots, and veterans who courageously pioneered flight in some remarkable machines. The museum’s firearms collection is also extensive, and documents America’s firearm history and showcases important firearms from around the world. There are three buildings to explore on campus, including the indoor Wings & Waves Waterpark. made only one brief flight on November 2, 1947. 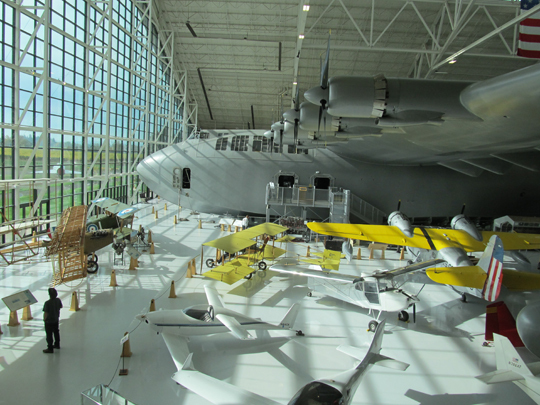 Underneath the wings of the Spruce Goose, you’ll find a good collection of warbirds such as the SR-71 Blackbird (high-altitude reconnaissance plane that flew over 2,000 miles per hour), and the B-17 Bomber (a.k.a. the Flying Fortress, best known for its surprisingly successful daylight raids on Germany during World War II). This is a short list. There are plenty of general aviation exhibits as well that include non-military helicopters and replicas of early 1900s aircraft. The space building covers the complete history of traveling to the stars— from a miniature rocket launched from a remote farm in 1926, to the robotic spacecraft we know today. You’ll see the artifacts up close – from rocket booster systems to replicas of manned spacecraft (Mercury Space Capsule, Apollo Command Module, Gemini, Lunar Roving Vehicle ) and unmanned (Sputnik, the Mars Exploration Rover). 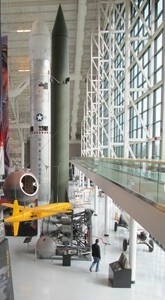 Also on display is the Titan II SLV—the largest Intercontinental Ballistic Missile developed. Amazingly it fits in the museum! It was the single greatest catalyst of the “space race” between the USA and the Soviet Union. You can also experience an exciting simulated launch of the Titan. 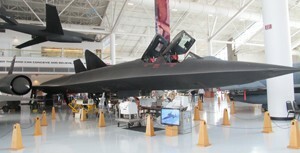 If there’s something you want to know about the field of aerospace, you’ll likely find it here. • Be sure to use 500 NE Cumulus Avenue as the street address when using a GPS device. • Open daily 9:00 AM to 5:00 PM; closed on Thanksgiving, Christmas, and Easter. • $25 adult admission ($24 for ages 65+ and $23 for ages 5-16) includes entry to Aviation Museum, Space Museum, Firearms Exhibit, & one movie. Wings & Waves Waterpark admission sold separately.